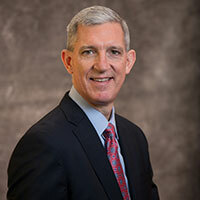 Martin (Marty) J. Durbin is Executive Vice President and Chief Strategy Officer at the American Petroleum Institute (API), where he integrates API’s broad advocacy capabilities in pursuit of the organization’s and the industry’s priority public policy objectives. Mr. Durbin also oversees the API’s Global Industry Services (GIS). GIS provides products and services to the oil and natural gas industry which further the API’s mission to promote safety across the industry globally. Marty returned to API after serving for nearly three years as President and CEO of America’s Natural Gas Alliance (ANGA), representing North America’s leading independent natural gas exploration and production companies, where he oversaw ANGA’s market expansion efforts with industry, governmental and consumer stakeholders. At the end of 2015, Marty guided ANGA’s ultimate combination into API to better achieve the mission of both organizations. Prior to joining ANGA, Mr. Durbin served as Executive Vice President of Government Affairs at the American Petroleum Institute (API). Before his work at API, Mr. Durbin served as Vice President of Federal Relations at the American Chemistry Council (ACC). Prior to the merger of the American Chemistry Council (ACC) and the American Plastics Council (APC) in 2002, Mr. Durbin directed Federal and International Affairs for APC, serving as a liaison to sister organizations in Europe, Japan, South America, Mexico and Canada. Earlier in his career he served as a legislative assistant for Senator Alan J. Dixon (D-IL) and for Representative Rick Boucher (D-VA). He currently serves as Chairman of the Board for A Wider Circle, a grassroots nonprofit organization dedicated to ending poverty for one individual and one family after another. Mr. Durbin received a BA in Government and Politics from the University of Maryland College Park. He is married and has three children.